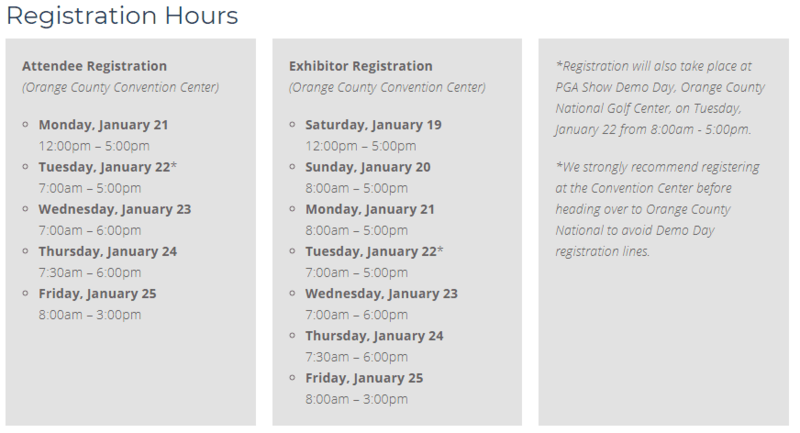 This week we have the privilege of being at the golf industry’s leading trade show event, the PGA Merchandise show. We are at booth #3223 for the next couple days. If you are also at the show, come by and say hi and see how we can help your golf business hit a hole-in-one in the marketing department! If you’re not in Orlando this week, here’s some info on the show so you can plan for the next one. Are you a PGA Professional or somebody that works in the golf industry? Then this is the trade show for you! Come find out about the newest equipment, technology, apparel and accessories that are sure to change your golf game (for the better, of course). This year the show features a long list of exhibitors. Booths will feature vendors showing off the best of the best when it comes to bags, maintenance and supplies, carts, balls, various equipment, food, clubhouse decor, training aids and even information on golf travel and tourism. Did we mention, it’s a long list? There are over 2,200 exhibitors to check out! One of our tips for attending trade shows is to create a checklist of all the vendors you want to visit before time is up. This will help you prioritize and plan ahead. 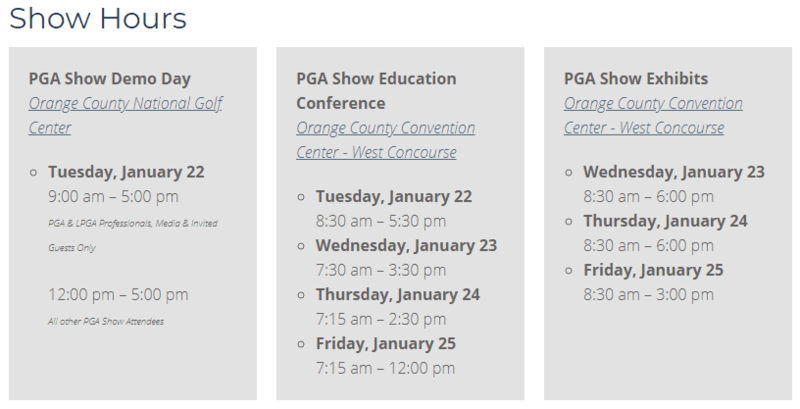 To help, here are the exhibitors at the PGA show this weekend. Be sure to check out our blog from the past that features our other tips for attending conventions/trade shows. Still unsure whether you should attend? If you find yourself on this list, this trade show is highly recommended. Here is more info on the schedule for the rest of the week and there’s still time to register!